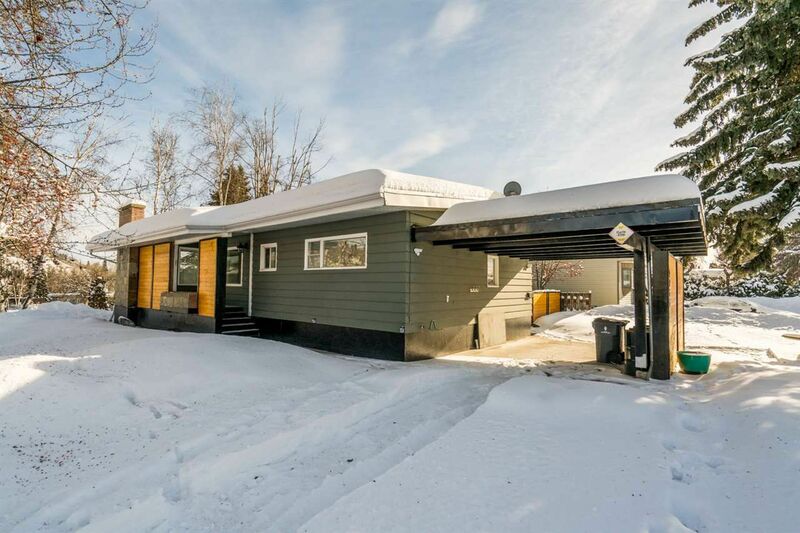 With wonderful views overlooking Hammond Park and the Nechako river, this totally redone rancher, with basement, boasts four main-floor bedrooms plus a large two bedroom basement suite. Vaulted ceilings soar over a brand-new kitchen with island and a bright, main living area that faces the park with floor-to-ceiling Cornertone windows. Everything has been redone, including modern tile and refinished, original hardwood floors throughout. Two new bathrooms, railings, paint, and doors. The two bedroom suite has a separate entrance and large room to attract a premium rent and a top-tier tenant.